Healthy and popular ice cream for kids ?!? An impossible combination? 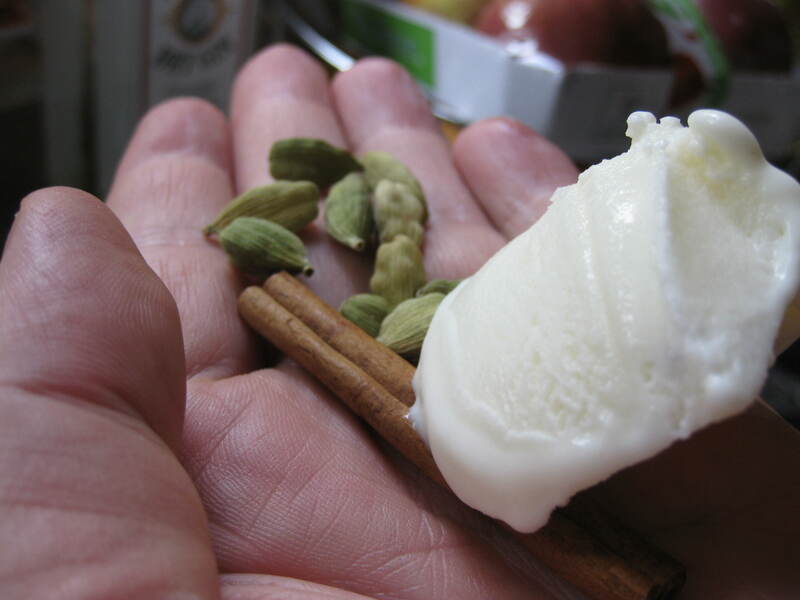 No, actually not – and it is really, really easy to make too! Over time, my kids have become, as you might imagine, quite … discerning when it comes to ice cream. Luckily, the majority of flavours to which they have been exposed have met with their approval. 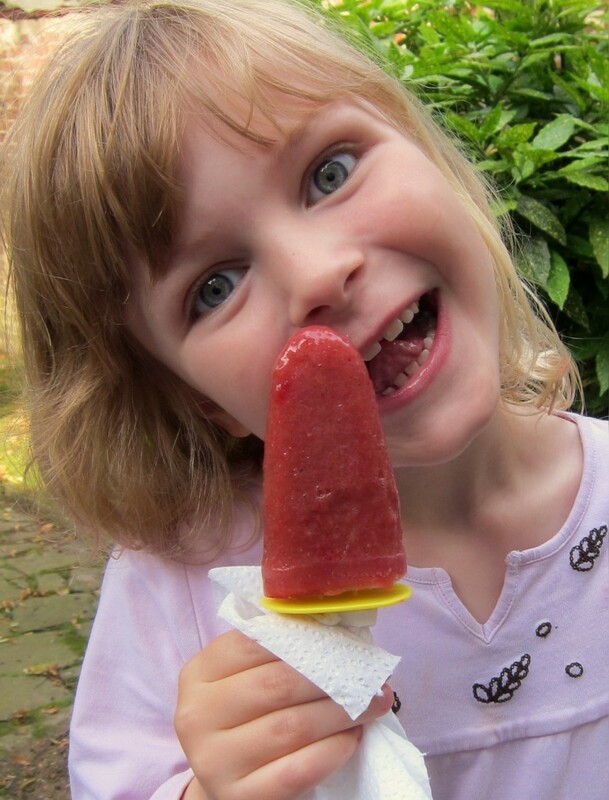 But I readily admit that I still was not prepared for the huge successes recently with ‘simple’ ice pops (or ‘ice lollies’, if you prefer British English). And guess what? Some did not even contain any added sugar! 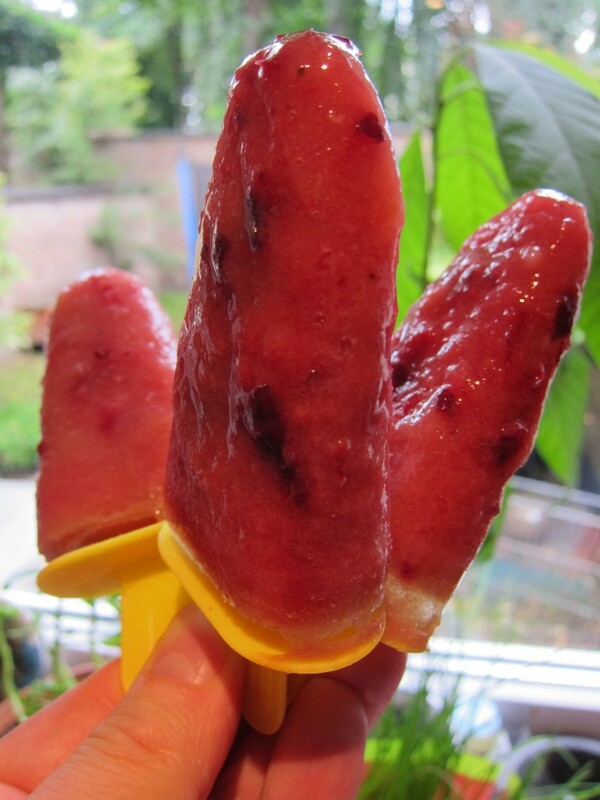 Today’s Plum ice popsicle – both popular and healthy – was actually the result of a rather failed ice cream experiment. 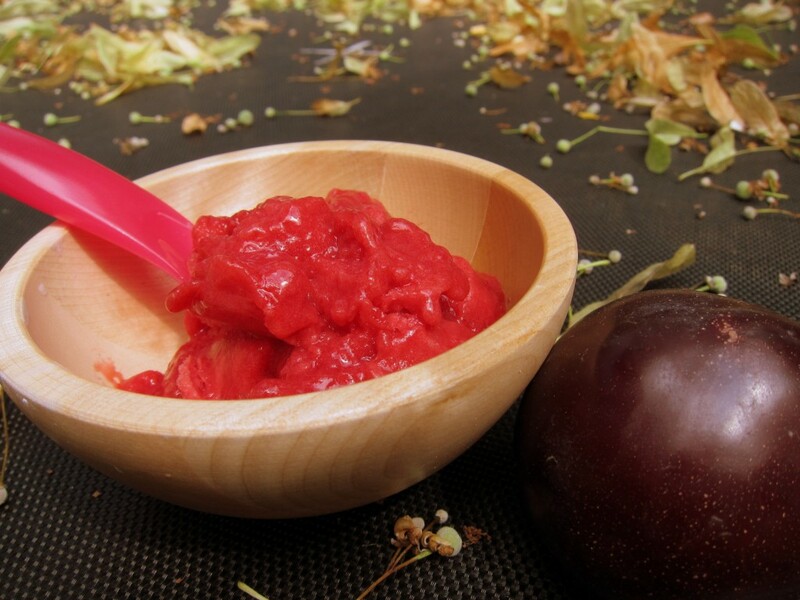 One of my favourite bloggers had posted a recipe for healthy plum sorbet. The recipe only called for sweet plums and some lemon juice – how nice, pure and healthy it seemed … I decided to give it a try, despite certain rational misgivings. Well, perhaps the plums she had been using had been of a particularly super-sweet type, but my test batch ended up tasting pretty much like frozen plum purée, pretty much devoid of sweetness. In my view, the recipe simply needed more sweetening than what the plums alone could provide. 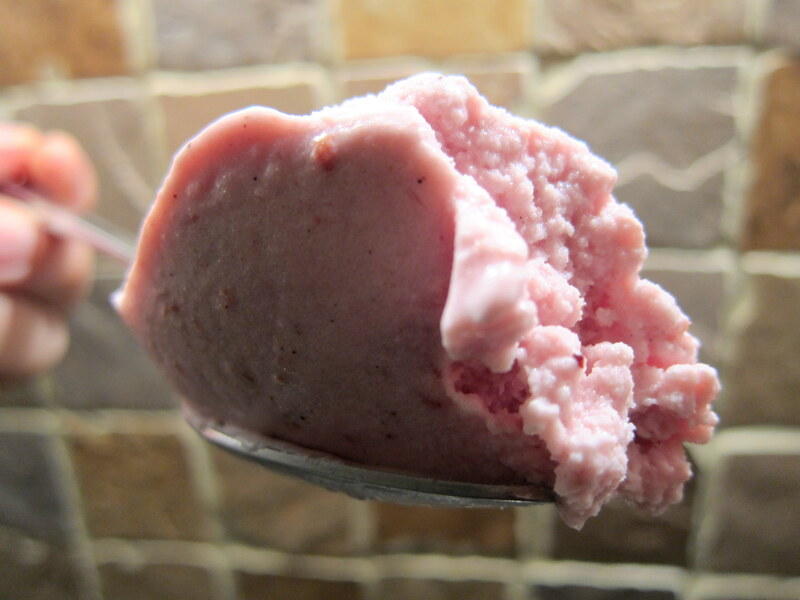 Then it hit me – I could use the rest of the “natural plum sorbet base” and make ice pops out of it! But it would still need more sweetening. 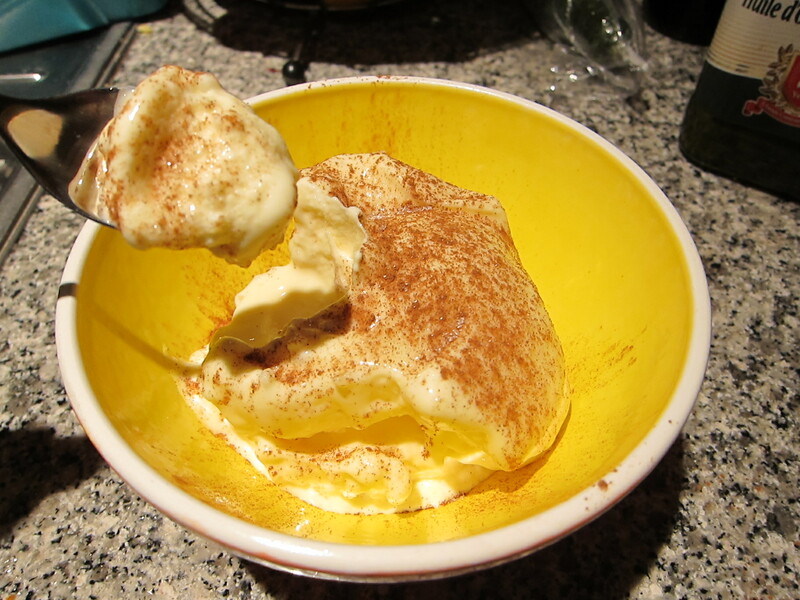 Being somewhat disappointed (by the rather unsuccessful ‘healthy sorbet’) but still in a healthy mood, I decided not to add any pure sugar. Instead, I reached for a couple of very ripe bananas! Recalling one of my earliest posts, the bananas would hopefully be able to fill in the missing sweetness. I mashed them together with the plums, filled the moulds, put them in the freezer and waited. Did it work? Yes – definitely! Blanch the plums in boiling water for a minute or so.Take them up and let them cool a bit. Peel the skin (save for a few spots you might want to keep for looks), cut or rip the plums in halves and discard the pits. Cut the bananas in pieces, blend them with the plums and mix everything together thoroughly (preferably using a mixer, blender, or similar). Pour the resulting mixture into the ice pop moulds. Wait at least 5-6 hours, or preferably over night, to let the pops freeze properly. Sometimes, it can be difficult to remove ice pops from the moulds - if so, you could try to put the relevant parts of the mould in hot water for a few minutes or so - the surface will melt a little and make it easier for you to remove the pops. Wow. This is amazing. I cannot believe this is possible. I will test it on my daughter, but plums are not in the best shape here, I have to wait a little.. I like reading your blog very much! I did see/read that there was a serving size along with the recipe, about how many does the recipe make? It depends a lot on the size of your moulds and – obviously – exact how many bananas and plums you use. If you would like to make a rough estimate, it takes about 3 medium-sized bananas to get 1 cup (about 250 ml) of mashed bananas.